Outside of folk music, very few instruments carry as much cultural baggage as the Mellotron. In the same way pipes and drums instantly evoke Scotland, an accordion Paris, pan-pipes South America, so the strange tones of the Mellotron instantly bring you to the 1970s and particularly progressive rock and German experimental rock. This connection may be unfair, as the Mellotron first appeared in the early Sixties (and its predecessor, the wonderfully creaky Chamberlin first appeared in 1956), but I got to know the sounds of the Mellotron from records by Tangerine Dream, Hawkwind, Popol Vuh, King Crimson etc - and those early associations stick. By the time I actually started to make music myself, the instrument had become deeply unfashionable, but throughout the punk and post-punk period I remained mesmerised by its unique and slightly creepy sounds. Whilst I was attempting to make angry, angular music with an electric guitar, I became aware of two younger local lads, Duncan and Steve (or DAS) who were making music that harked back to the synthesizer stuff I liked before trousers got skinny. A few years later I got to play with Duncan and Steve - the resulting music unsurprisingly sounded like a mix between angular post-punk and space-rock, and although Duncan didn't have a Mellotron then - I somehow knew that one day he would. We were wrong to be contemptuous of the Mellotron of course, it was, after all, a precursor to the now ubiquitous sampler - even down to having a limited length of sample (as Duncan patiently explained to me "they're not loops") - each key plays a strip of pre-recorded tape, and when it gets to the end, a spring mechanism pops it back to the start again). They were, of course, supposed to sound like orchestras and choirs, but they never quite do (despite the Musicians' Union's worries, they never got to replace symphony orchestras). And they're hardly electronic at all - they're mechanical, almost Heath Robinson-esque, steam-punk contraptions. So, many years later Duncan (and Steve) play in the extraordinary Radio Massacre International and has "a few" Mellotrons in his possession, and I ask him if he'd like to record something for Linear Obsessional, and to my utter delight he decides to make a Mellotron album. 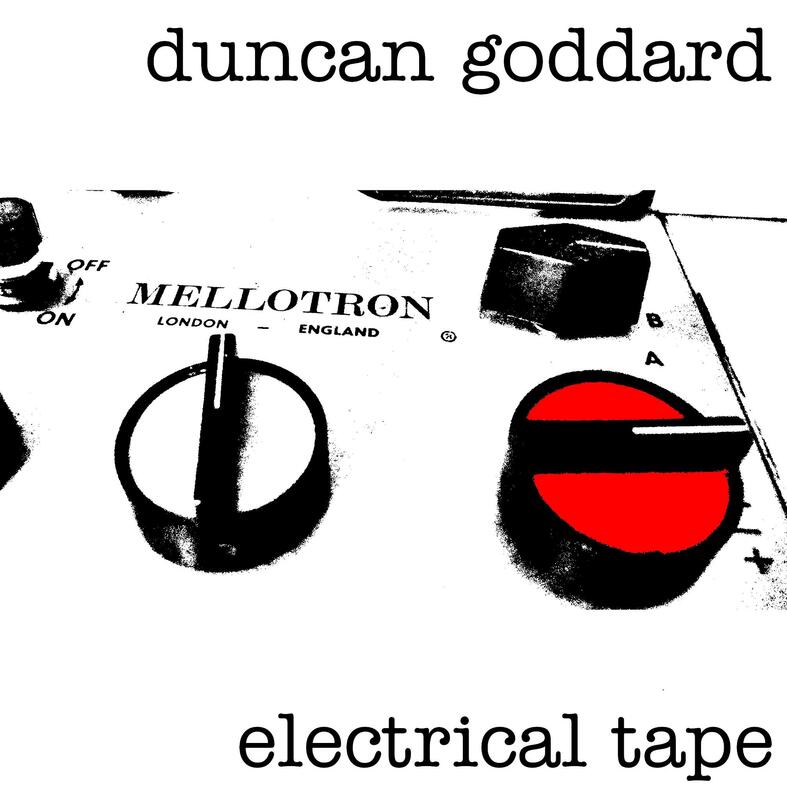 I like to think that "Electrical Tape" does for Mellotrons what Daniel Lapotin's Oneohtrix Point Never does for the Polysynth, but that's just fanciful thinking on my part, and it's certainly not Duncan's intention. But, what he has come up with is as mysterious and mesmeric as the instrument itself, and a delight.